Growing your business often means overcoming a number of different barriers. These barriers can be internal or external to your business, and sometimes they’re even both. While some of these barriers may seem to be insurmountable, that’s rarely the case. Every challenge can be defeated if you know how to approach it. In many cases, there’s a new type of technology you can use to help you with these barriers. These evolving technologies can help your business flourish and grow by giving you the tools you need to defeat the challenges you face. Here are some of these challenges and how technology can help you with them. When you first start your business, chances are you had to wear a number of hats. As you grow, though, you should seek to reduce the number of roles you play in the day-to-day operation of your company. In fact, you should try to make yourself redundant. You shouldn’t be doing much of the nitty gritty daily work. Instead, you should be the captain of your company, looking towards the future and formulating strategies for growth. The problem here occurs when you don’t hire the right people to allow you to do this. You need to hire extremely qualified people, often people who are better qualified than you are, to take over the jobs you’ve been doing yourself. Bring in an expert marketer, a financial wizard, and anyone else you need to handle all of the tasks that prevent you from working on growing your company. Technology can help you here by providing you the means to quickly find experts in the field. Many websites are dedicated to helping people connect with potential employers. Sites like LinkedIn are a great place to browse profiles and see who has the skills you need. You can also make use of social media to advertise your open positions. By doing your research online, you can find the people you’re looking for and recruit them to your team. Communication is key to making certain that everyone in your company knows what’s going on and what their responsibilities are. Many small businesses include only a couple of people in the beginning, so communication isn’t too difficult. As you grow, though, or if your business is made up of people who mostly telecommute, you may not necessarily see everyone every day. You can try communicating through email and over the phone, but these methods often leave something to be desired. 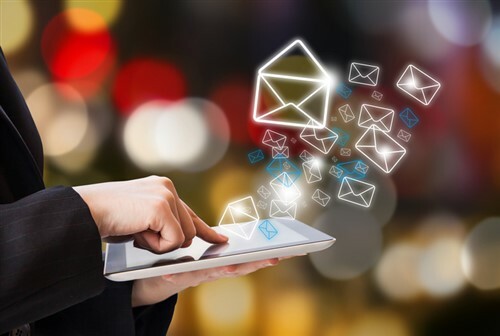 Email communication can get lost or may not include all of the context needed. Phone conversations can be great for discussions, but you can’t easily share documents or what’s on your screen. One great solution here is to use a program that allows you to hold online group meetings. These programs allow you to very easily communicate with others, share documents, and show people what you’re looking at on your screen. You can create slideshows, share websites, and show images to everyone in the online meeting. Even better, many of these programs are free or very inexpensive to use. Scaling your sales is required if you want to grow your business. You need to increase your revenue stream before you can hire more people, expand your workspace or store front, or produce a wider variety of products. Unfortunately, it’s not always easy to do this. Most businesses get their first bump of growth because someone, usually you as the owner, find an audience for your products. These early clients usually provide you with enough resources to sustain your business, but they may not provide everything you need to grow. This means you need to formulate a sales strategy, put together a strong sales team, create the processes you want to use, and determine your sales techniques. Once all of these things are done, your sales team will be ready to identify potential clients and move them through the process to convert them into customers. Of course, this isn’t as easy as it sounds. You need to scale your sales process to accommodate more potential clients. That means you have to move your sales focus away from people and more towards the process of sales. Basically, in the beginning, clients came onboard because you knew them. You had a personal connection to these people that made it easy to convince them to purchase your product. Now, you have to rely on your products speaking for themselves. You need to have a repeatable process that you can use with potential clients with whom you don’t have any type of personal connection. These people are going to be harder to bring on as customers, but if you have a sales pitch and plan, it can be done. You May Be the Biggest Barrier! While a lack of communication, a problem with scaling your sales force, and a failure to hire the right people can make it hard to grow your business, there’s something else that might be holding you back: you! You can be the biggest barrier your company may ever face. If you’re not a good leader or fail to take the risks that a good business owner should, you may find your company doesn’t grow as you’d like it. If your business isn’t growing and you don’t see any other barriers, take a look at yourself. Look at your habits and how your employees interact with you. You may be the biggest barrier to your company if you don’t lead in the right away. If you’ve determined that you need to improve your leadership skills, there are a number of different things you can do. Many leaders watch online speakers or listen to motivational podcasts. There are many videos online of TED Talks and other speaker series that can help you learn how to lead. You can also find a number of articles online talking about the skills great leaders have and how you can develop those skills.